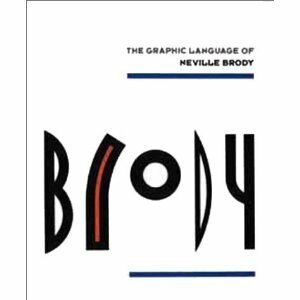 "The Graphic Language of Neville Brody" was a tribute to one of the most influential graphic designers of the 1980s. Since then, computer graphics have entered the field of communications and Brody has transformed his typography to create a new "visual language". These new designs are the fruits of five years' experimentation. The Tokyo department store "Parco", the Dutch telecom company PTT, and the German cable TV channel "Premiere" have all commissioned Brody's work. The results appear here alongside his new typefaces: Blur, Pop, and FF Gothic, created for Fontshop International of Berlin, publishers of "FUSE", the inetractive magazine set up by Brody in 1990 as a new forum for experimental typography. Designed by Brody himself, with Wozencroft's text, this is the second instalment in the continuing Brody story.